On 22nd May 2011 I had the pleasure to visit for the second time Il Volto Santo di Manoppello Sanctuary with a group of teachers and students from the Mikołaj Kopernik High School in Żywiec (www.lo-zywiec.pl). A friend of mine, Antionio Teseo from Manoppello, an IT teacher and computer graphics expert, helped me organize the visit. Antonio has been engaged in examining the Veil for many years and has published numerous studies in the field (more at osservazione.blogspot.com). 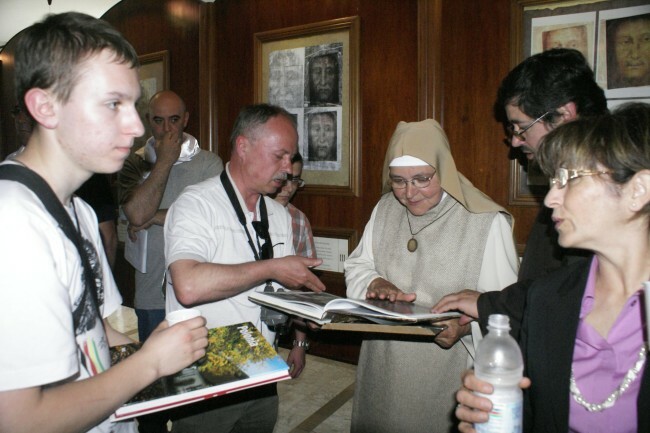 Father Czesław Gadacz, a Polish monk working in Manoppello, did the translation for us during the visit. 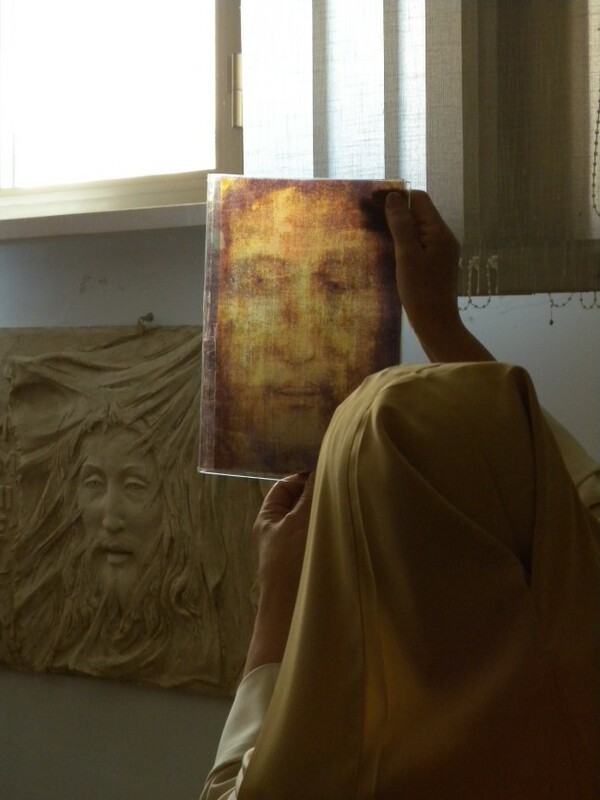 Sister Blandina Paschalis Schlömer spent almost an hour with us telling us about the history of her research devoted to correlating the image from the Turin Shroud with the image from the Veil of Manoppello. She also described her research on the Sudarium of Oviedo and its connection with the Veil. Although the two relics seem to be completely different, one may notice an amazing similitude when they are thoroughly compared. 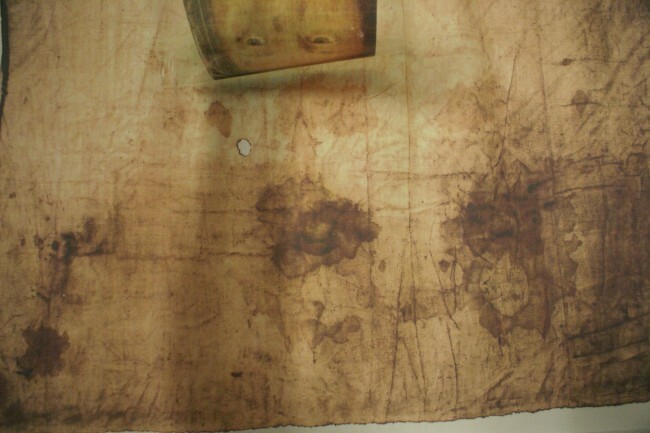 Blood from the Sudarium of Oviedo is of the same type (AB) as the blood from the Turin Shroud. 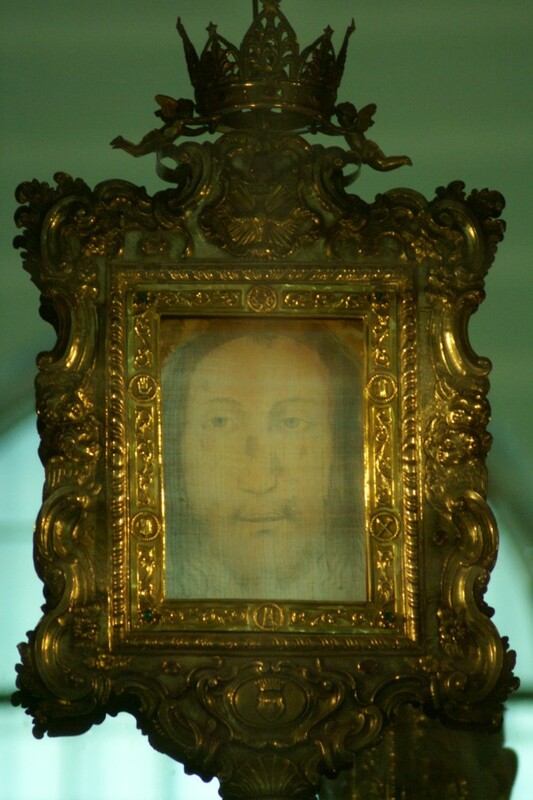 All the anatomical points of the face and the wound marks on the three relics overlap perfectly. Sister Blandina claims, "These are the burial cloths of Jesus Christ". 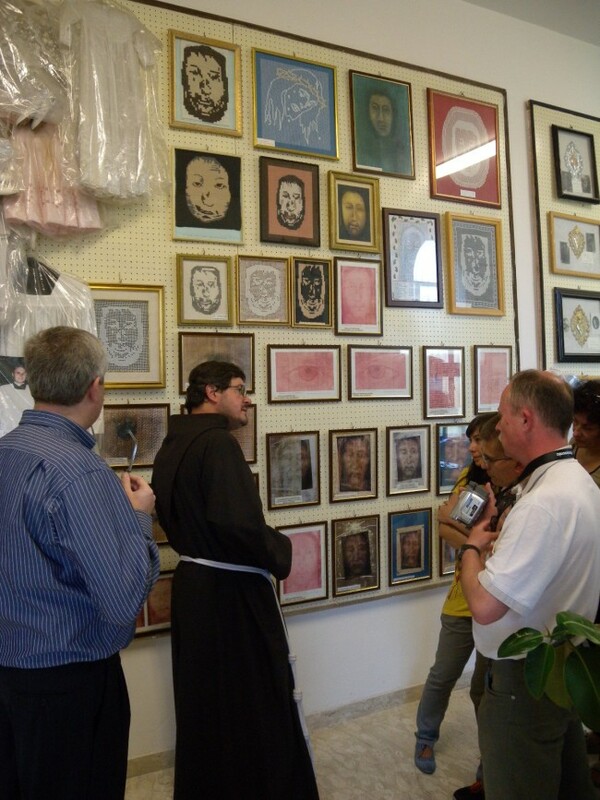 Antonio Teseo showed us round the exhibition of votive gifts on the first floor. 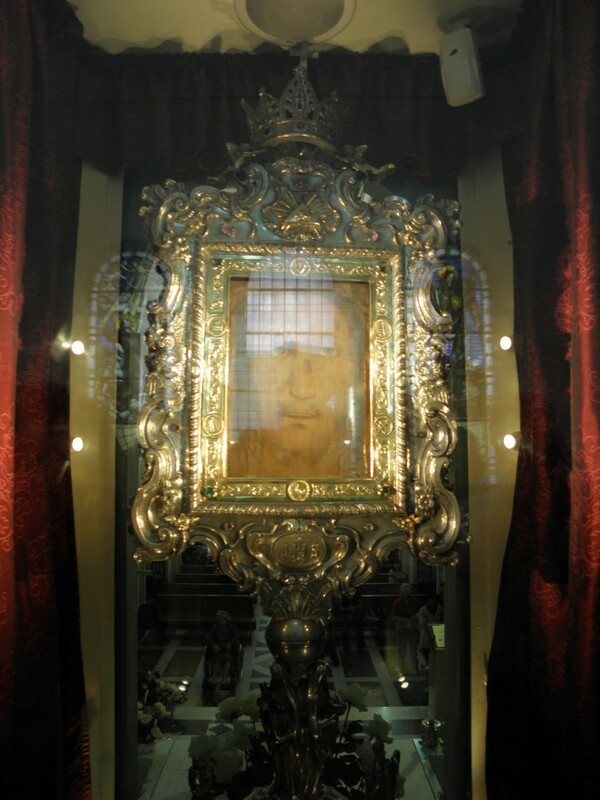 Thousands of items, left as votive gifts for graces received from God, which prove the cult of the Image are exhibited there. The exhibition is different from those known to the Polish people, e.g. in the Jasna Góra Monastery. The votive gifts include handmade drawings, wedding dresses, copies of the Image made with various techniques, handwritten letters, and/or children toys. There are also votive gifts more familiar the Polish people, such as crutches, fancy silver items and/or jewellery. They have been stored for five centuries but have not been catalogued to this day and now there is little space left for exposing them. The museum of the monastery is located nearby. It exhibits everything the monks had no heart to throw away, e.g. an old radio, a typewriter and/or furniture. 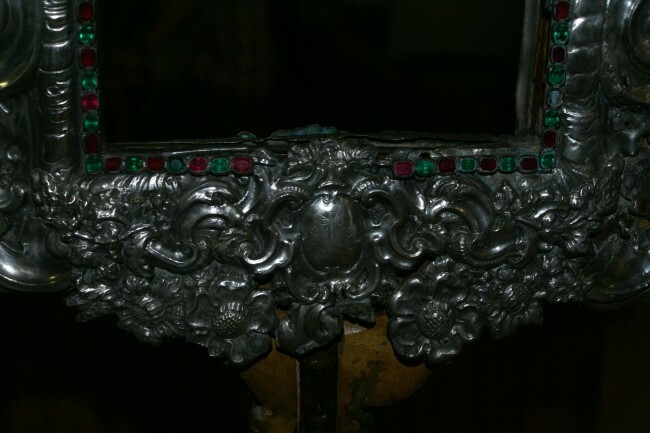 Undoubtedly, the most precious item there is the old reliquary which was made of silver with an addition of gemstones in 1618. 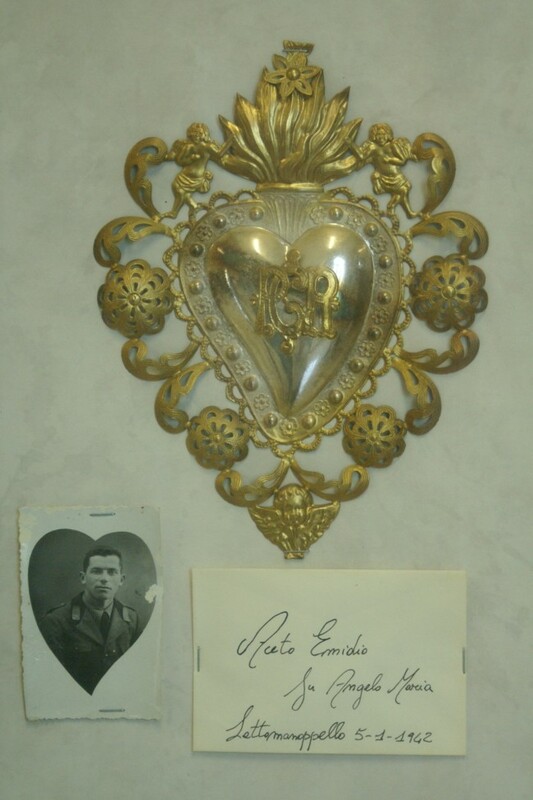 The current reliquary was made in 1946. Having seen the exhibition, we attended the evening holy mass.